Recognizing the national trend toward a Center of Excellence approach for complex health problems, University Orthopedics created several subspecialty centers targeting various orthopedic problems, including a Joint Replacement Center; the Extremity Care Center and a Sports Medicine Center among others. 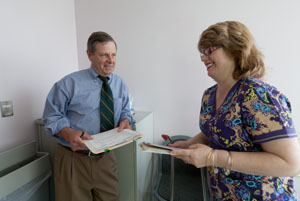 The Center for Spine Health was created by the spine specialists within the large orthopedic group to improve the care of back and neck pain for those in the Rhode Island area. The problem with spine care is that care is highly fragmented. Too many times, the patient receives a treatment recommendation that is biased to the type of physician providing the treatment. Patients, employers and health insurance companies desire and deserve a team of clinicians (non-surgeons, physical therapists and surgeons) working together under one roof. We have installed a spine center approach where patients exhaust their non-surgical options before surgery is considered. 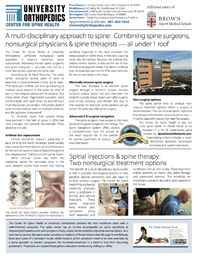 The Center for Spine Health has a commitment to patient education. It produces a 36 page Home Remedy Book that is distributed to all patients along with referral sources. This is also the core component of the spine center's recommended Home Exercise Program. Through this book patients learn the importance of exercise for prevention of recurrent problems, and what symptoms need to be evaluated quickly by a spine specialist. University Orthopedics also invested in a content-rich Internet presence to help patients understand their specific problem. There is information on spinal conditions and treatments, an anatomy library, an exercise library, symptom charts and a description of home remedies. 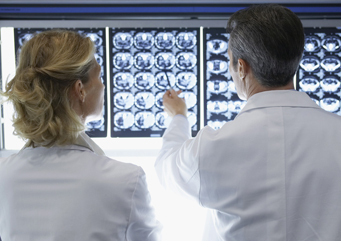 This Internet presence represents a virtual encyclopedia on spine care. 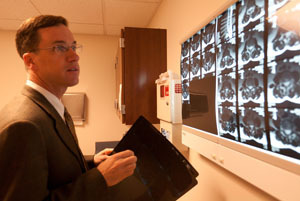 If and when spine surgery becomes necessary, the surgeons at University Orthopedics are trained in the latest minimally invasive techniques. In this type of surgery, smaller incisions are used with less disruption of muscle and soft tissue. These less invasive procedures usually enable a patient to be discharged sooner and recover more quickly with less pain when compared to traditional procedures. For patients with cervical degenerative disc disease, spine surgeons at the Center for Spine Health at University Orthopedics also perform artificial disc replacement surgery in select cases. The artificial disc is one of the most significant advances in the field of spine. The mechanical disc replicates the function of the normal healthy disc. Dr. Mark Palumbo, Dr. Craig Eberson and Dr. Phillip Lucas at the Center for Spine Health now use the power of navigation technology for spine surgery. 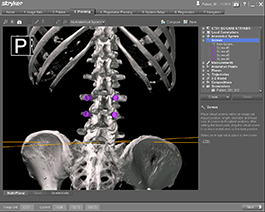 The Spine Navigation System places the spine surgeons at the forefront of computer assisted surgery for spine in the nation.